We are aware of the fact that functionality and roadworthiness of commercial vehicles are of crucial importance for the businesses of companies that own them. It is extremely important that vehicles are working properly and are available at any time to ensure that usual processes and business operations can be handled willingly. Compromises are not an option, tradition and experience of proven services are chosen, where it is certain that first-class maintenance services, diagnosis and vehicle repairs are to be provided. 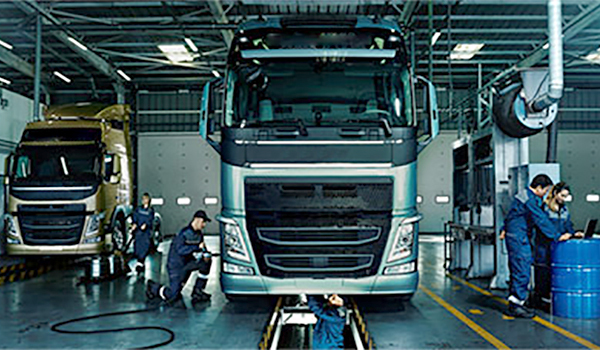 Workshops are suppose to ensure vehicle roadworthiness and solve problems that have occurred, starting from minor faults and damages that can be held immediately, to solving the most complex truck repair challenges. Ordinarily maintenance helps at keeping vehicles in top shape. 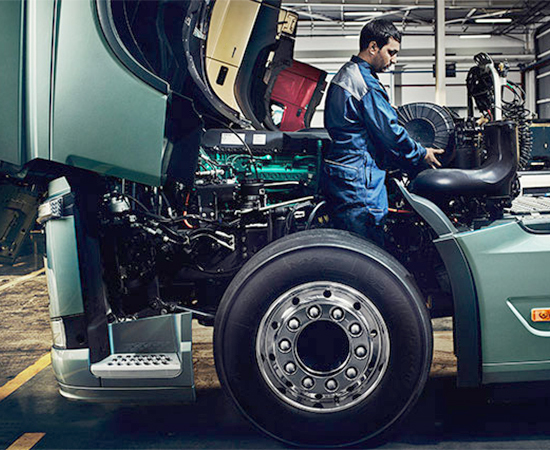 At our repair centre we offer quality services for VOLVO trucks and buses in a hall with well-equipped devices and modern technology for diagnostic tests, having room for four trucks at the same time. Within the workshop parking is provided. In our daily work, our team of highly trained professionals use special tools, and by following prescribed procedures of installation and adjustment, clients always receive quality services. Professional staff have years of experience in work performance, which is one of the key factors for providing successful services. All spare parts placed within repairs are from our sales stock, therefore they have been tested and are available immediately. 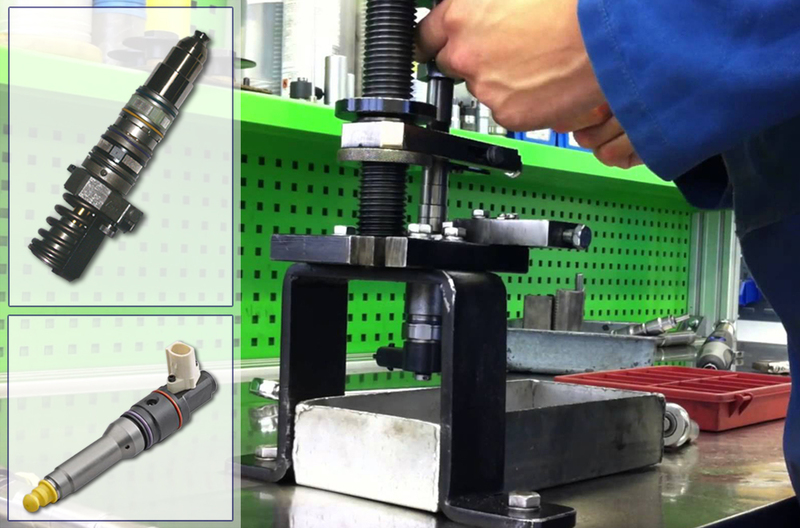 In addition, we are also offering professional UPI injector rebuilding. Also, we are available for providing services outside of our workshop - roadside assistance, when needed, and are open for advising our clients anytime. For maintenance and repairs of a number of vehicles, the company will be granted with special prices and discounts. By purchasing oil and filters here, free regular service is included. For built-in parts and repairs, the company provides warranty.